Adan Romo, is an intuitive, self-directed artist, craftsman and designer. His passion for design and aesthetics knows no bounds. Adan graduated from California College of the Arts in 2017 with a MFA. With an Individualized major, Adan focused his work on Industrial Design, Jewelry/Metal Arts and Furniture Design. Since the start of his CCA career, he has garnered praise from professors and peers alike for his hard work, commitment, vision and leadership, as evidenced in his roles in everything from shop technician, senior exhibition fellow and design lead for CCA’s rebranding initiative to, of course, his role as student council president. An effective and purposeful communicator, he has proven himself to be an excellent liaison between students and administrators. 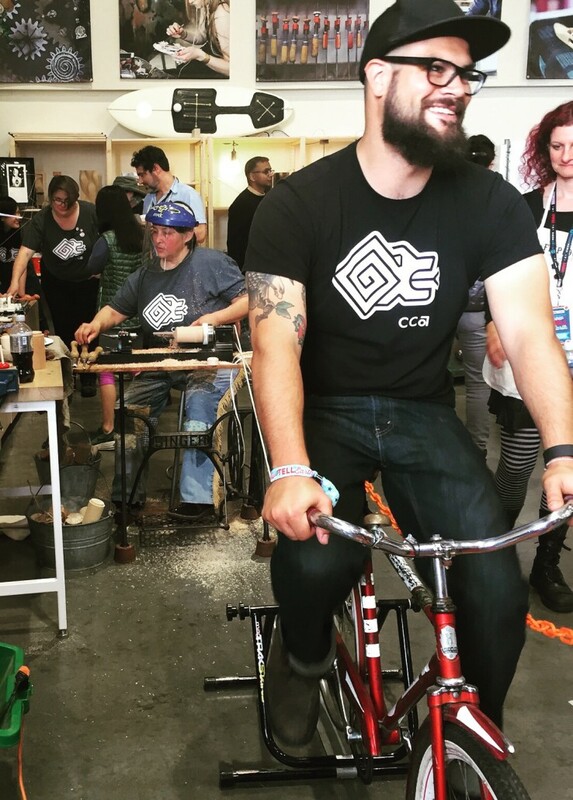 After graduating CCA, Adan has been working at the Randall Museum to build out and develop new and innovative workshops, while teaching woodworking classes. In addition to this, Adan has been taking on additional projects in the arts and design space within the Bay Area community, such as Lead fabricator for the recent Festival of the Impossible exhibition, sponsored by Adobe.